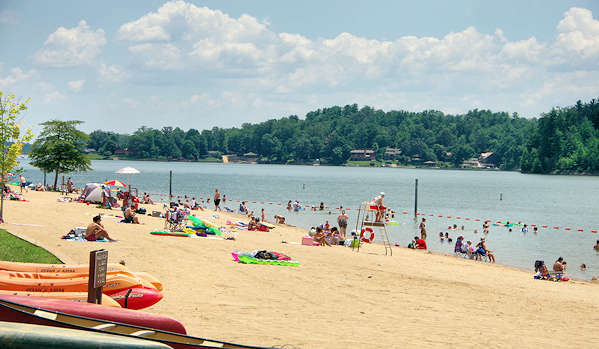 Our top mountain beach near Asheville is at Lake James State Park. It's relatively new, opening in 2010, and features a bathhouse with nice changing rooms, concessions and protected swim area. Lake James is about 45 miles east of Asheville (between Marion and Morganton) and has two sections. 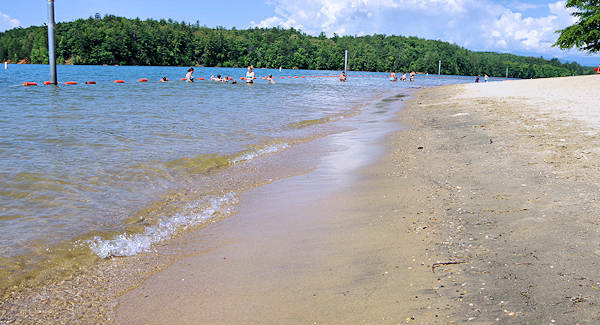 The beach is located in the Paddy's Creek Area section. The convenient concession stand in the Bathhouse sells popsicles, many flavors of ice cream, drinks, candy, ice and more. Since the lake is at a lower elevation (1,200 ft.), expect lots of sun and many 90-degree days each summer. Bring your sunscreen, chairs, blankets and coolers. No alcoholic beverages or pets are allowed. The 700-ft. long beach is open May through September, 10 AM-6 PM every day. Lifeguards are on duty most days from Memorial Day Weekend through Labor Day Weekend. When lifeguards are on duty, a fee is charged: $5/adults and $4/children 12 and under. They have unannounced free swim days when they have a limited staff, usually on slower weekdays. The rest of the park is free to enjoy, including hiking and biking trails. There's plenty of free parking. 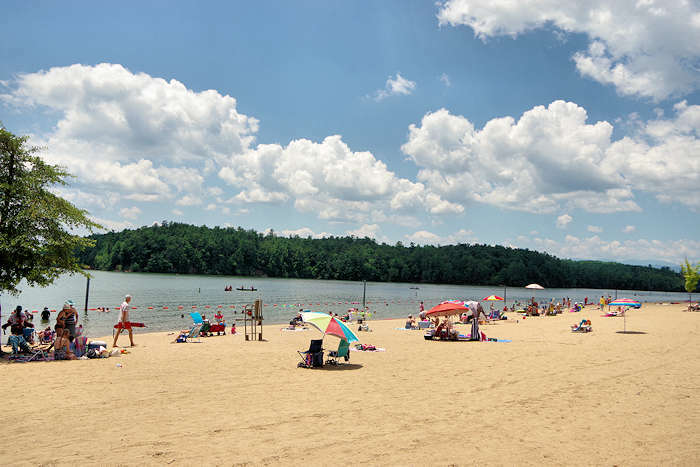 Read more about Lake James State Park. 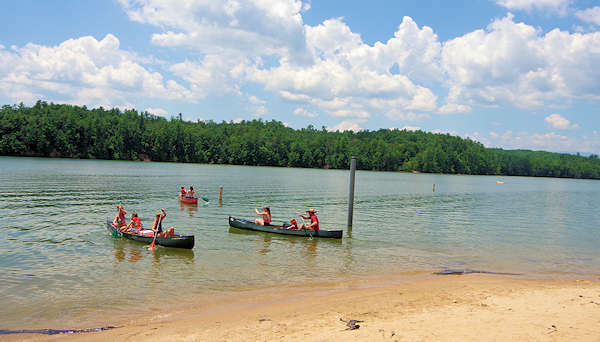 Boating: To explore the lake more, rent a paddleboard, canoe or kayak on the beach for $5/hour. Adjacent to the beach are picnic tables and grills. 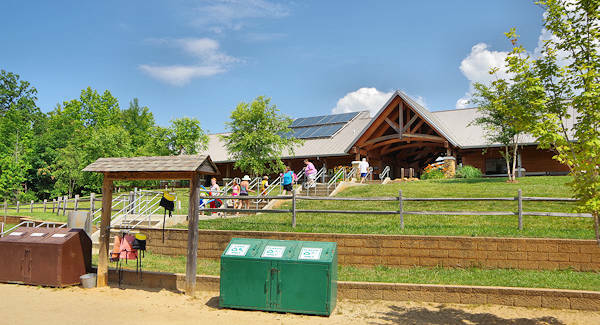 There are two large picnic shelters that can seat up to 100 people - reserve for free for a family renunion! Camping: Near the beach are 33 drive-in campsites, a short drive away in the forest. 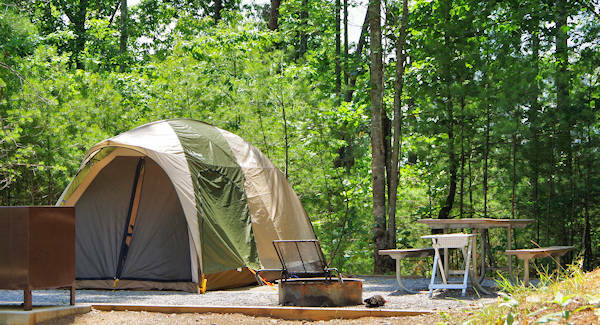 Each campsite has a fire pit, picnic table and space for a modest, six-person tent. Potable water faucets are located throughout the campground and a washhouse with toilets and hot showers is open 24/7 near the parking area. Bundles of firewood are available for sale. Summer rates are about $15/night. Reserve online. 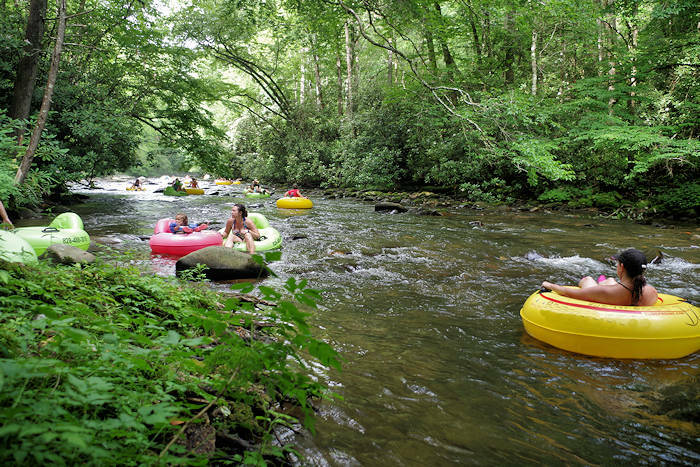 The lake is very clean, fed by the pristine mountain waters of the Linville and Catawba Rivers. Water temperatures run in 60s in June, warming into the low 70s by July. 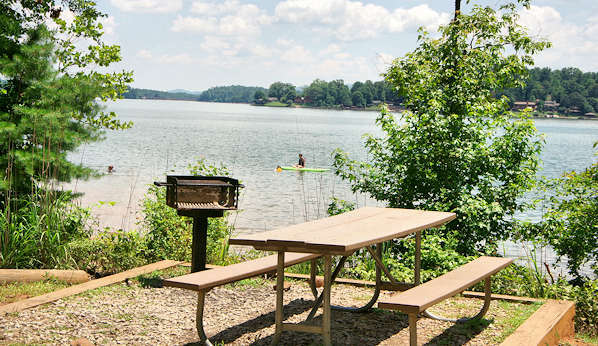 Lake James has about 150 miles of shoreline and it is located in Burke and McDowell counties. Directions from Asheville: From I-40, take the Dysartsville/Lake James Exit 94 and go north for a half-mile to a stop sign. Turn left onto US Highway 70 for 1.5 miles. Turn right on Bridgewater Road and go 1.2 miles. Turn left on Benfield's Landing Road for 2 miles to a stop sign. Turn right onto NC 126, and follow the signs to the park entrance and 7/10 of a mile on the right. Street Address: 6883 NC-126, Nebo, NC. 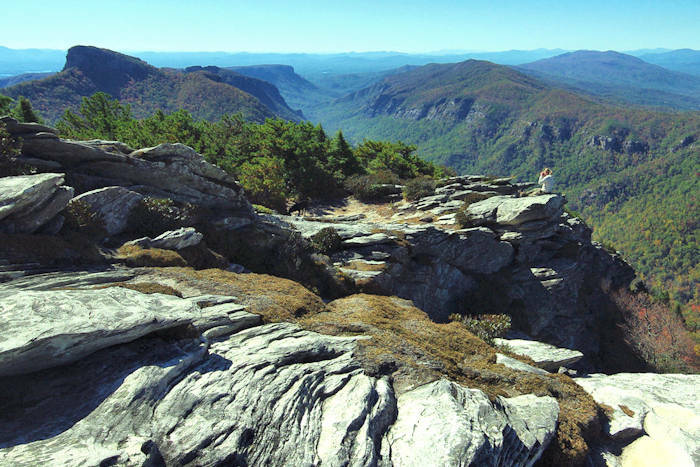 See more mountain beaches near Asheville in North Carolina. 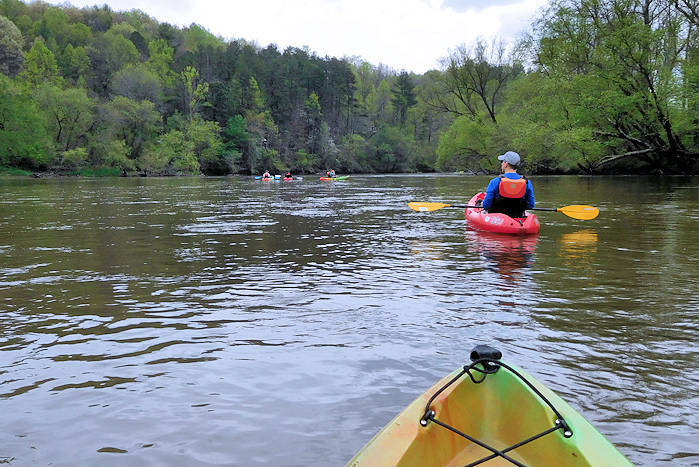 See nearby things to do in Burke County. 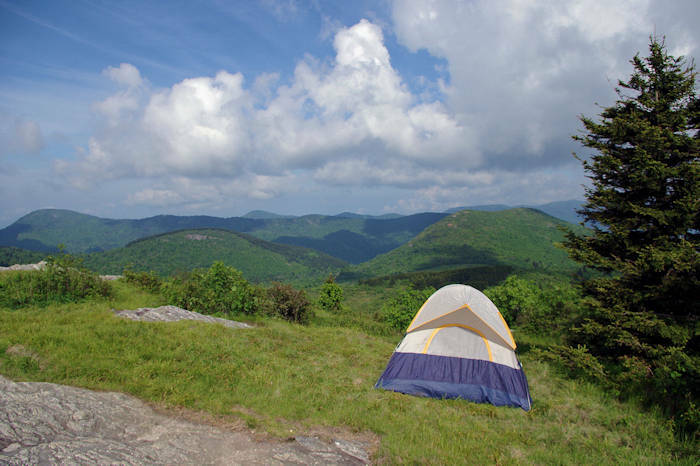 Find a big variety of cabin and cottage rentals, B&Bs and hotels near Morganton, including Linville Falls, Table Rock, Lake James and South Mountains - with lake and mountain views.